What you need is a cat! And do not put it off the darn chipmunks seem to multiply at an alarming rate. Great sketch. 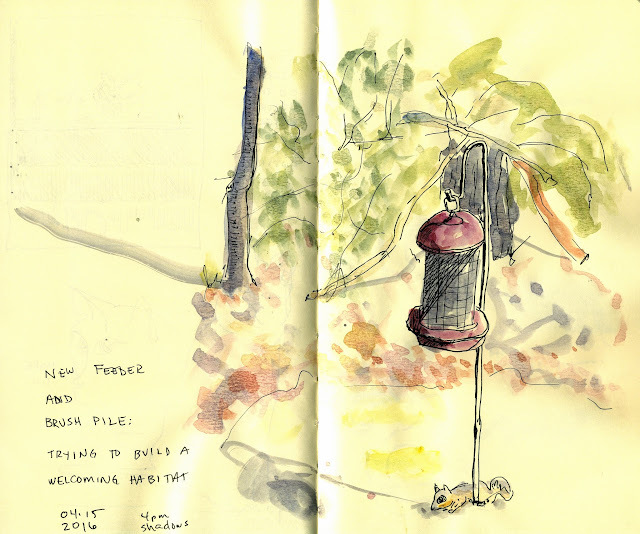 The birds on the feeders are something I often try to capture in my daily journal. I'll have to do like you and add the rodents to my sketches too.